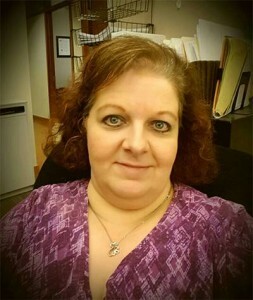 Denise is 55 years young, married with two wonderful children, John (33) and Nicole (29).Denise is a full-time legal assistant with excellent administrative skills which she is honored to use in assisting Sow It Now to grow and help people reach their own personal goals. Denise met Joscelynn Baio in July 2015 when she was at a point in her life when she knew changes had to be made to get healthy. Joscelynn is now Denise’s personal trainer and friend. She thank’s God every day for putting Joscelynn in her life because she is a healthier, stronger woman on her way to reaching her goal by June 2016 when her daughter Nicole is getting married. Besides personal training, Denise takes cardio kickboxing on Saturday mornings with Joscelynn which she loves. Denise looks forward to being able to share her testimony with others as they come into Sow It Now letting them know how important each person is and that nothing is impossible. Never give up! She is glad I didn’t. Before Denise met Joscelynn, she could not walk four houses down her street. What makes Sow It Now so awesome is that everyone who comes in is treated like family and truly loved.Denise is so excited to be a part of the Sow It Now Crew.